ISLAMABAD: Pakistani officials have threatened to use the country’s nuclear weapons should India invade, after India’s new army chief admitted to secret military plans for attacking its neighbour in the event of a crisis. Three officials in Islamabad told the top UK daily ‘Financial Times’ that Pakistan would take all necessary measures to defend itself should India ever put into action long­rumoured “cold­start” plans to attack Pakistani territory following an event such as a major terrorist incident. “If ever our national security is threatened by advancing foreign forces, Pakistan will use all of its weapons — and I mean all of our weapons — to defend our country,” one of the officials told FT. The comments come two weeks after Bipin Rawat, the newly appointed head of the Indian army, acknowledged the existence of “cold-start”. The cold­start strategy is designed to enable an instant response to crises including attacks by militants launched from Pakistani soil, and would mean Indian troops entering Pakistan and occupying positions along the border before Islamabad could prepare or the international community could intervene. The ties between two nuclear-armed neighbours have worsened since the attack on Indian military camp in Uri, which it blamed on elements based in Pakistan. Later, India claimed to have conducted ‘surgical strikes’ which Pakistan denied taking place. 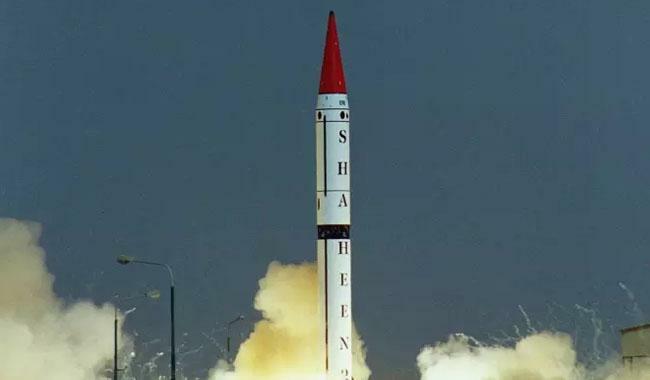 This month, meanwhile, Pakistan carried out its first ever test of a nuclear­capable missile from a submarine. Walter Ladwig, a lecturer in international relations at King’s College London opined that reviving cold start certainly escalates the rhetoric, and may raise unrealistic expectations domestically about India’s ability to respond to a new terror attack. Western diplomats in Islamabad, however, doubt whether India would ever use the cold-start plan.